Think of something you are truly afraid of. Now, think of one, single thing you need to overcome your fear. Do you know what it is? Yes? Good. When you open your eyes again, that thing will be right in front of you. But it will be nothing you have thought it would be! I was on my way home from the UK at the beginning of January 2011 and the plane has been delayed because of the bad weather. After an hour and a half of a nervous waiting, the flight attendant informed us that we finally received the permission to take off and we will be allowed to board the plane in 10 minutes. When the happy news was announced, most of my co passengers rushed to the check in counter. I went the other direction, frantically looking for a duty free store and a big bottle of booze. I planned to drink myself into stupor and to lose consciousness before the plane would hit the ground. I didn’t find the booze. I found Waterstone’s. And right before me, there was a book. I grabbed it, paid 6 pounds and returned as my name was called through megaphones. I started reading it seconds after finding my seat and fastening my belt. The next thing I remember was the captain asking me to leave. We reached our destination. But all I wanted to do was to keep on reading! 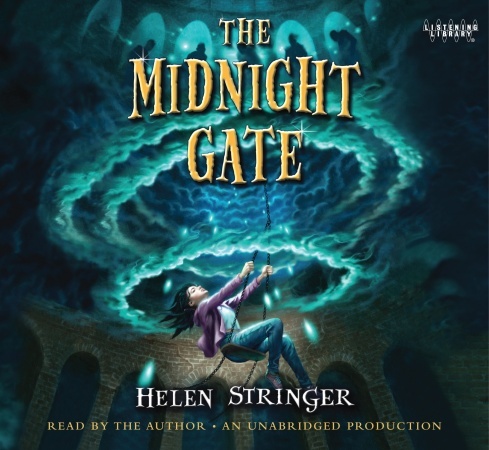 “The Midnight gate” audio book cover, much better than the last one! 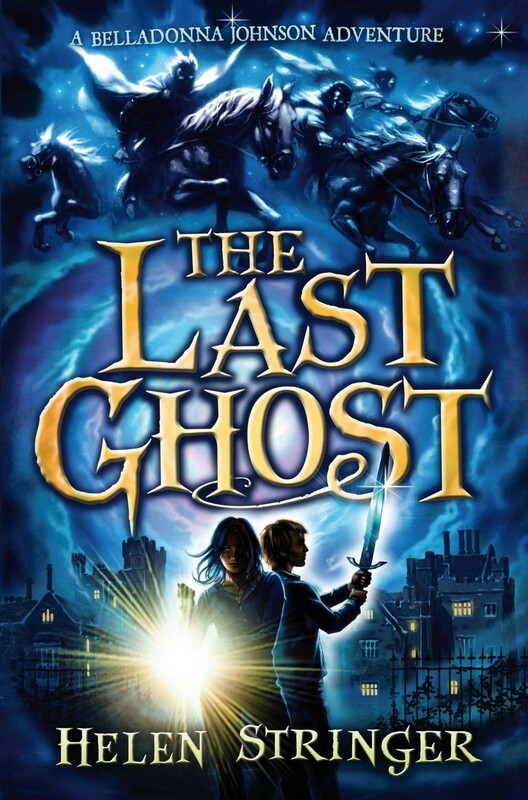 “The Last ghost” (released in the US under the title “Spellbinder”) is a contemporary young adult book written by English author Helen Stringer. Belladonna, the 12 year old main character not only sees ghosts (a family talent she shares with her grandmother and aunt) but also lives with them. Her parents might be dead but they still occupy the same house, cook dinners, watch TV and read newspapers. Belladonna’s unusual home life suddenly ends when her parents disappear along with every other ghost in the world. Teamed up with her classmate, a bad-boy named Steve and Elsie – the last remaining ghost of an Edwardian-era girl killed in a freak accident, Belladonna sets on a adventure to save her parents and the whole mortal realm. The book is surprisingly dark yet extremely well written. A quick search online offers lots of enthusiastic reviews: from published authors, readers, book magazines and newspapers. Most Amazon clients gave the book 5 stars – the highest rating possible. But if somebody expects another “Harry Potter”, will be severely disappointed. 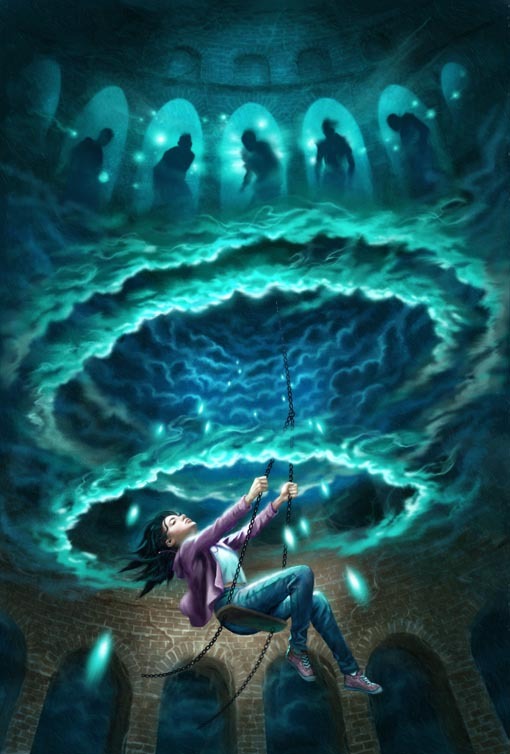 Belladonna’s world is nothing like the universe created by JK Rowling. 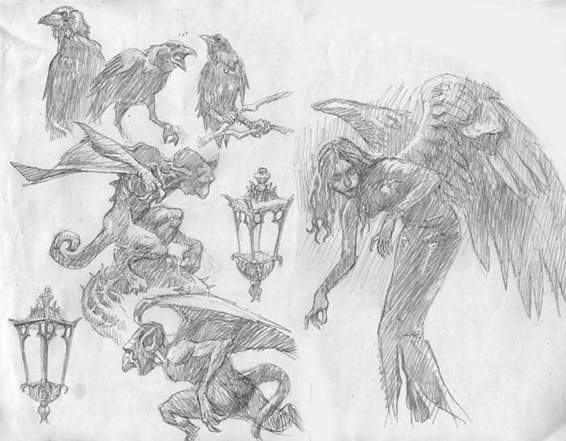 It is still fantasy: ghosts, wizards, sprites, magic and the Wild Hunt (you have to read book to learn more!) make a presence, but at the same time everything still feels normal. Familiar. Well-known. It could take place in your home town, just around the corner from you. Almost too real sometimes. There is humour in the book as well. Steve is a master of short, sarcastic remarks that make you laugh out loud. In short – “The last ghost” is a must have if you love literature with plot full of twists and turns, great characters and thrilling atmosphere that will make you forget about the time and the world around you. 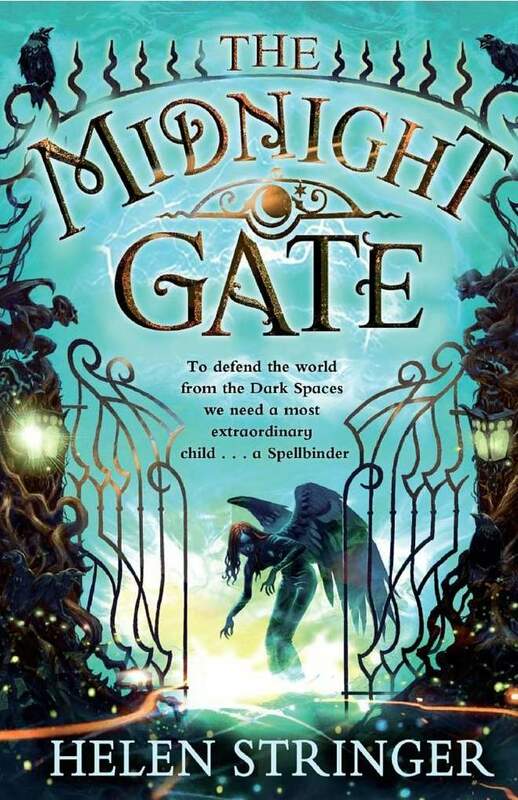 Cover of the second book “The Midnight gate”. We are now awaiting book three! “The Midnight gate” poster Enjoy! But you may ask, why do we review a book here? To answer that, I must return to the said captain, who as I was leaving the plane with my suitcase and the book in my hand, said: “Tell the author that he just delayed a flight!”. I said that I would tell HER. Ten months later I have kept my promise. Personally. 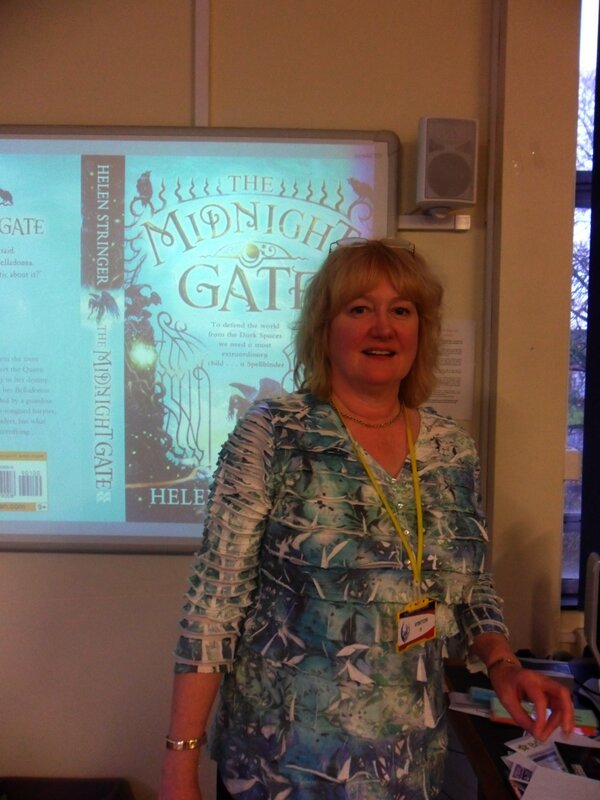 In November 2011, Helen Stringer arrived to The UK to promote the second instalment in Belladonna Johnson adventures entitled “The Midnight Gate”. By that time, I was a permanent West Midland resident and happily engaged (no need to fly anymore!). 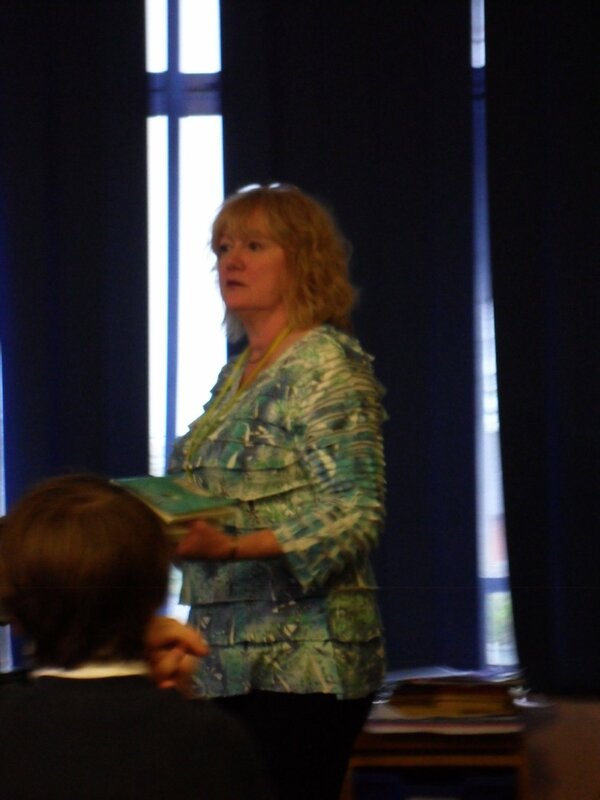 Thanks to my friend, Nicola Gilbert, the director of Westfield School in Leominster, who organized Helen’s visit to Hereford schools, I was given an opportunity to spend a truly magical day with a fantasy writer. Helen turned out to be not only an amazing writer but also a very friendly and kind person. She was born and raised in Liverpool and later moved to US to study film. As a student, Helen received several awards for her works and was chosen to be a Directing Fellow at the American Film Institute Center for Advanced Filmand Television Studies. 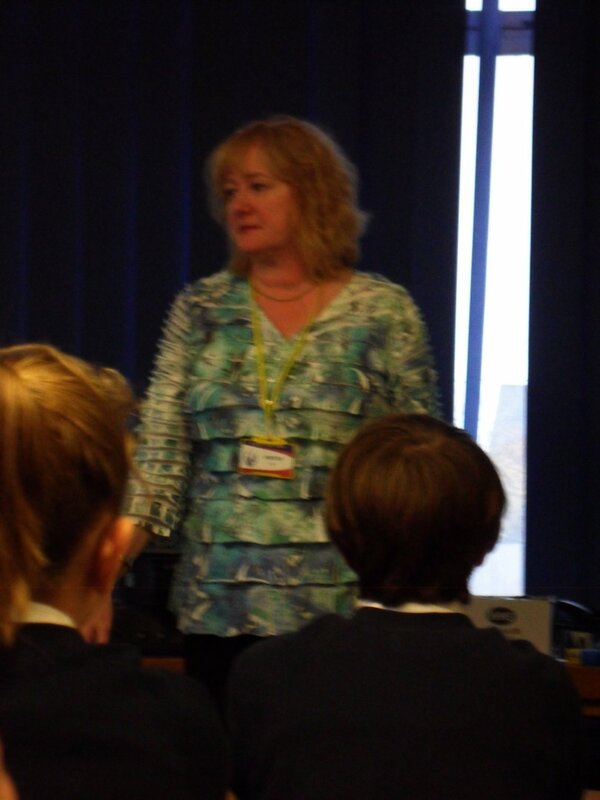 After working several years for the film industry, Helen decided to become a writer, strongly encouraged by her employers and colleagues. “The Last ghost” success allowed Helen to tour America and the UK. We met in the middle of her UK book tour that was tightly packed. In Herefordshire, Helen visited several schools including the prestigious Cathedral School and The Weobley High School (www.weobleyhigh.co.uk) located in the picturesque village of Weobley on the trail of black and white villages. Nicola and I arrived after the morning lessons just in time for the official meeting with Weobley school board and the teachers. 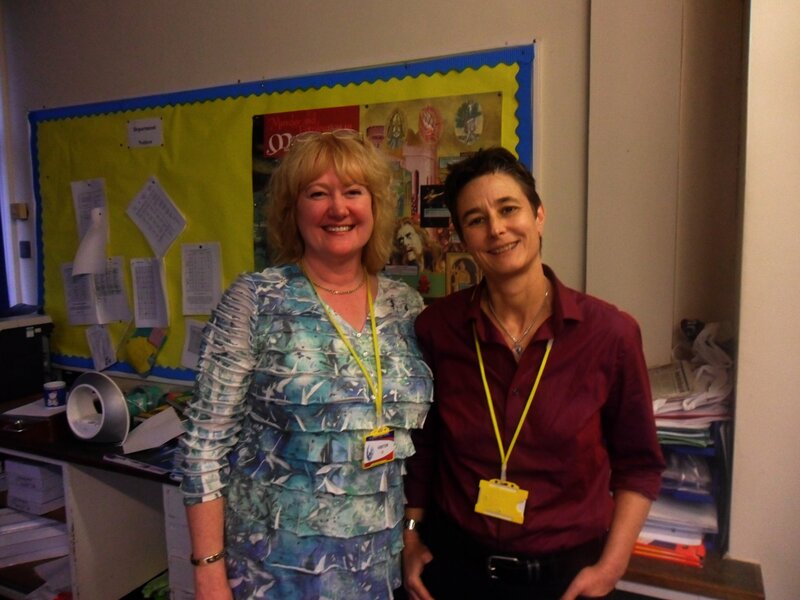 Helen had a long discussion with Dean Williams the head teacher and I managed to take a picture of them both. For the rest of the day, I have followed Helen closely as a shadow, taking many shots during her lectures and book signings. There were 4 lectures for the kids between 11 and 13 years old. To my surprise many students already read both books and they literally had hundreds of questions. Not only about what will happen next in the series, but also about living in the US, old cars, family run Beer Company, how to become a writer and even cats. Helen admitted that she owns several felines herself and that the local racoons developed a taste for cat food! 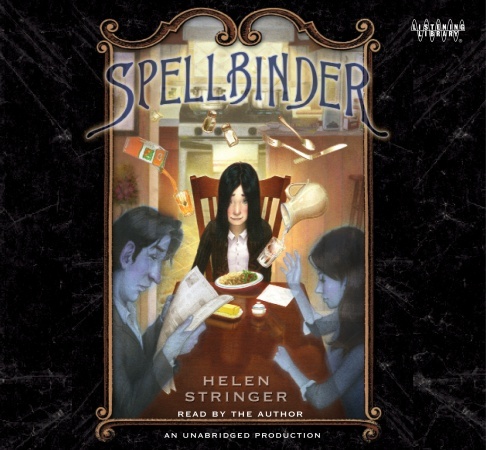 The most exciting part of the day was the discussion about Helen’s future projects: MTV series based on “Spellbinder” and the new book that she is putting finishing touches to. The new book already has a title “Paradigm” and will be taking place in the post apocalyptic America. 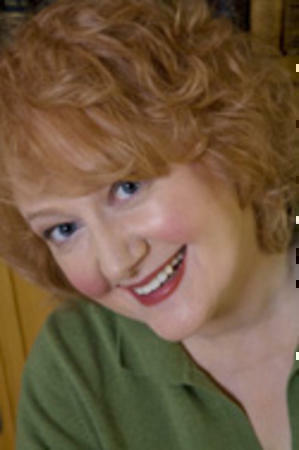 Helen is currently in talks with agents and publishers and should announce the publishing date very soon. Helen in the front of a screen showing slides to her listeners. 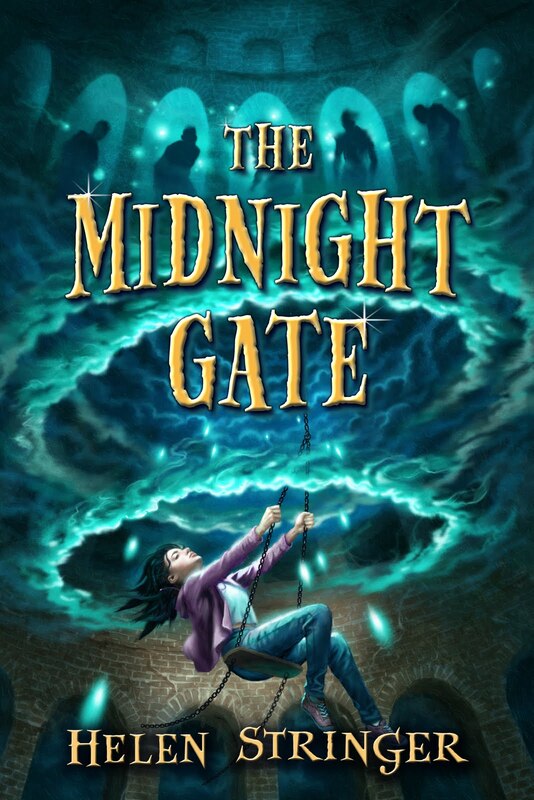 Alternative cover for “The Midnight gate” By David Wyatt. Helen’s favourite. I need to mention that Helen was kind enough to present me with signed copies of her books and audio books for me and Mal. Thank you very much Helen. Hope to see you some time again! Also big thank you goes to Nicola who made the trip possible. All right guys, check in soon, we are going to publish a report from our trip to the Forge World in Nottingham! This is very hard not to love Belladonna and her adventures. We have fantastic news for all those who can’t wait for the Book 3. Helen has prepared a novelette that gives us a glimpse into Bella`s (extra) ordinary life. This time the task is not to save the world, but to take care of one ancient ghost. But it wouldn’t be Spellbinder’s luck if Belladonna and her paladin Steve had to face something lesser than powerful magic and demons that not even the Queen of The Abyss heard of. 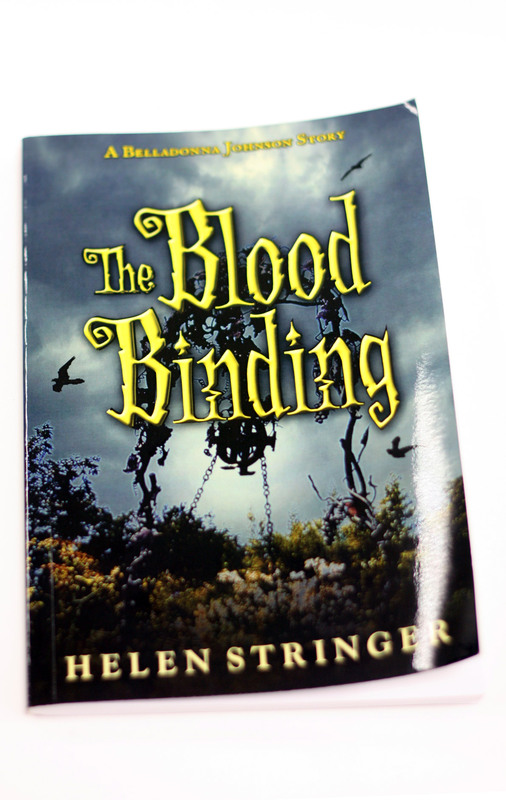 The Blood Binding takes place during Halloween and if you plan to pick up the story, prepare yourselves for some real treat. It is short but leaves you on the edge of the seat and you just can’t put it down. Helen, just like JK Rowling, created incredible environment and you want to re- read Belladonna’s adventures over and over again. 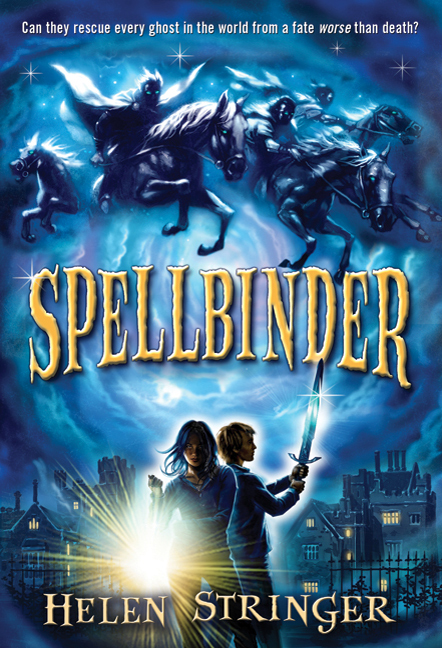 Is she making a third book for spellbinder? I need to know.. YOU HAVE TO TELL ME PLEASE! Thank you for your comment. We appreciate it!